Happy Friday, dear gamers! We would like to celebrate the end of the working week with lots of great games, which can be bought with awesome discounts only during the next three days. 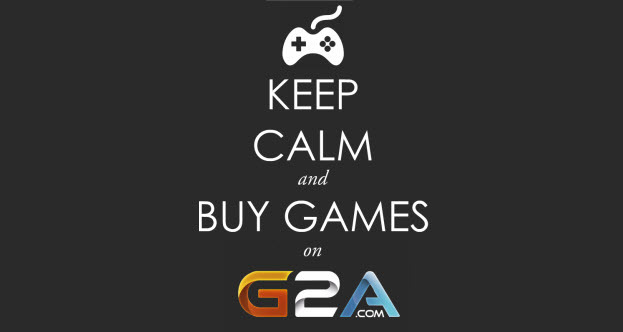 Today we have even more reductions for you, because our partner - G2A - has launched two lists of offers at once! Let's start with the most interesting offers. Thus, this time you can pre-order the eerie survival horror - The Evil Within - and high-speed racing simulator - The Crew - for €29.99 each, which means that you can save 50% on the first game and 40% on the second one. Also, we'd like to advise you to buy Borderlands 2 GOTY Edition, which costs just €7.79 this week, and Mortal Kombat Komplete Edition, the price of which is €4.49. It is awesome possum, isn't it? The fans of shooters will also get something incredible this week. Thus, Counter-Strike: Global Offensive can be purchased for about €8, while Gold Edition of CoD: Ghosts game costs just €20! Dead Island Franchise Pack STEAM CD-KEY GLOBAL costs €6.59. Dungeon Defenders Eternity STEAM CD-KEY GLOBAL costs €8.49. Follow the link to buy games with awesome discounts! Remember that the weekly sale starts today - on the 12th of September - and ends on Monday - the 15th of September - at 15:00 GMT.